This summer charmer was selected for its masses of brilliant pink flowers that are presented with great aplomb for many months. Excellent as a bedding plant or great candidate for containers. 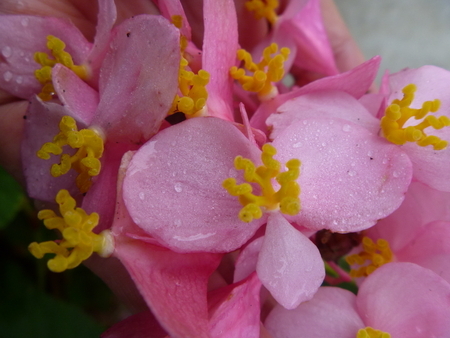 It is surprisingly hardy and easy to grow. Great summer and autumn appeal. The pale ivory flowers with elegantly recurved tips occur on tall stems. Showy mottled leaves. Plant deeply and grow in sun or shade. They will go dormant early in the season, so it is a great plant to mix into groundcover plantings. Western sweetroot is an erect woodland perennial in the carrot family. 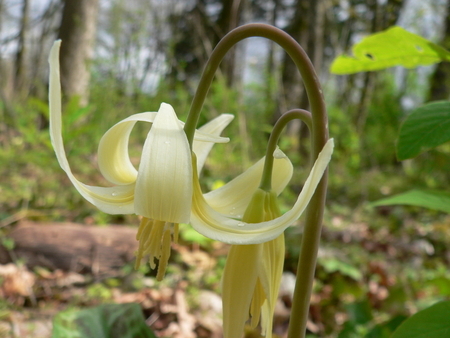 It has dark-green, divided leaves all the way up the stem topped with a delicate, flat-topped flower heads with many small, yellowish flowers. The seeds ripen into black, needle-shaped seeds while the leaves are still green and full, making it an outstanding plant for a woodland garden. 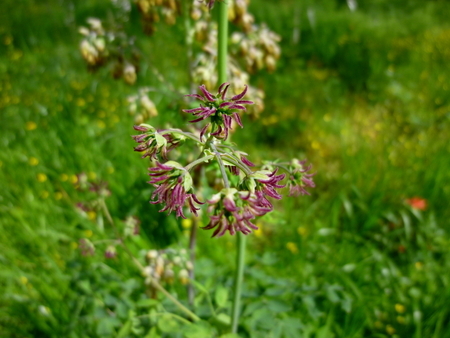 Tall meadowrue is found it mixed forests, oak woodlands, and along streams in shaded moist forests. It is a striking plant growing over 6 feet tall with bluish columbine-like leaves that stay green until late-summer then turn yellow in autumn. 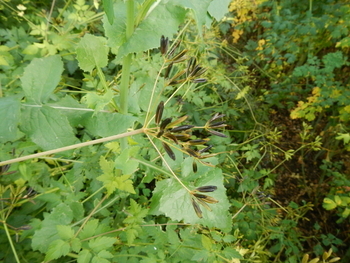 The plants have separate male and female flowering stalks.